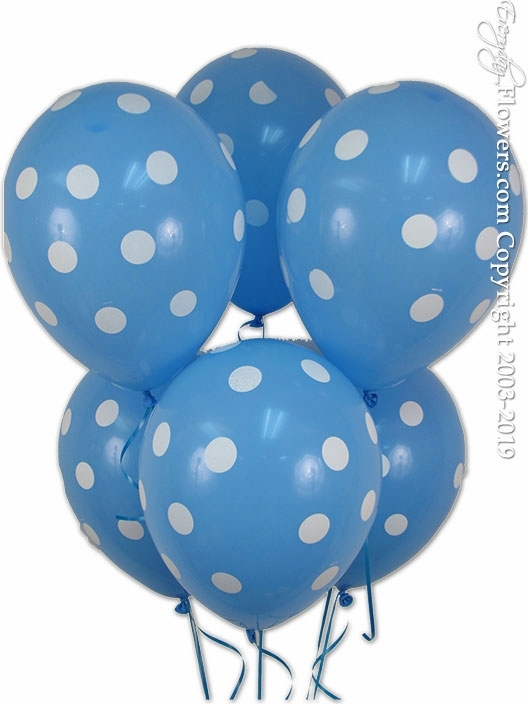 Order a balloon bouquet of six blue polka dot balloons. Available for delivery or pickup in our store in Santa Ana California. Everyday Flowers offers same day delivery to all cities located in Orange County California.